I woke in the morning giddy with excitement. This was the day I get to explore Cape Town, South Africa. The weather was flawless (typical of South Africa!) 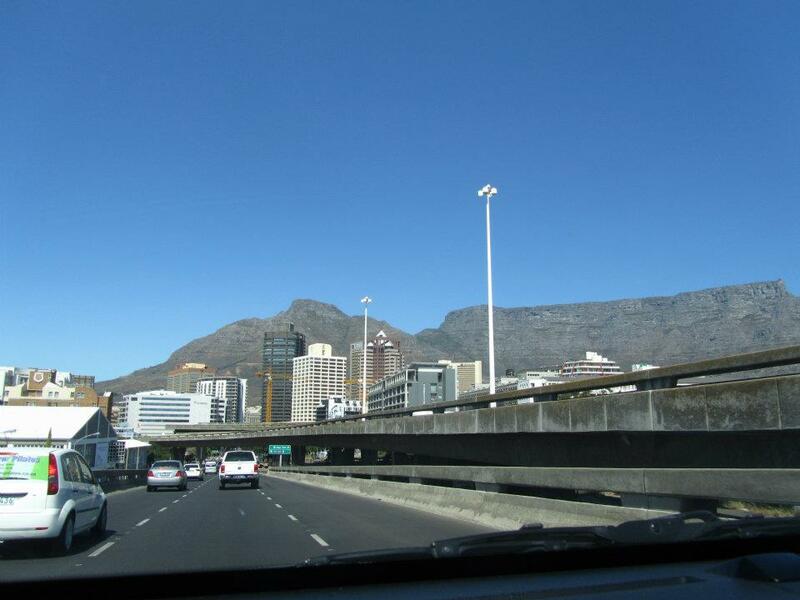 and we hopped in the car for a quick drive from Stellenbosch to Cape Town. Today marked the day when the trip would change – we would no longer be tourists riding bikes in this gorgeous part of the world. Josh and Jackie were mentally preparing for the Absa Cape Epic and I was becoming nervous about my role in the whole bit (camping, washing, organizing, packing…). I wasn’t sure what to expect and from this point forward I felt a little bit like an outsider to the whole experience. I followed behind Josh and Jackie, snapping photos, while they picked up registration bags, made massage appointments, and chatting about the reality of their upcoming race. 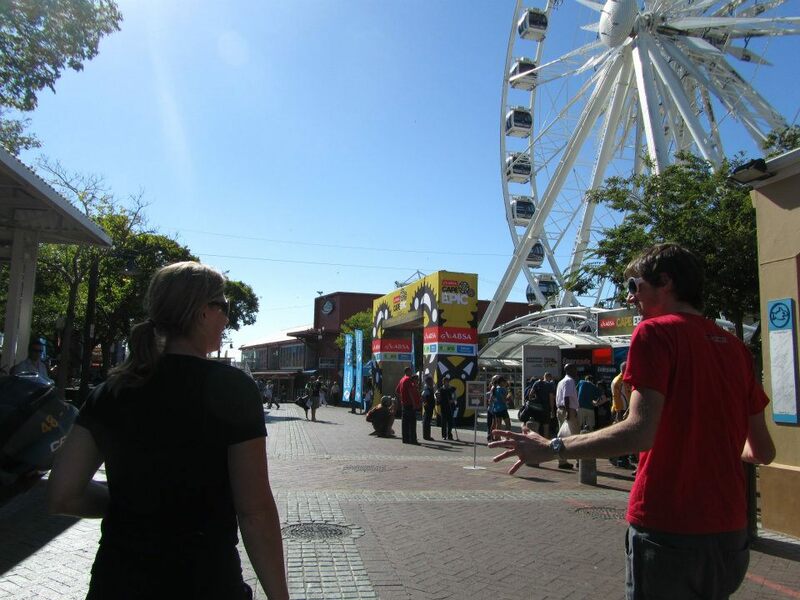 Down at the V&A Waterfront, history was mixed with festivity. 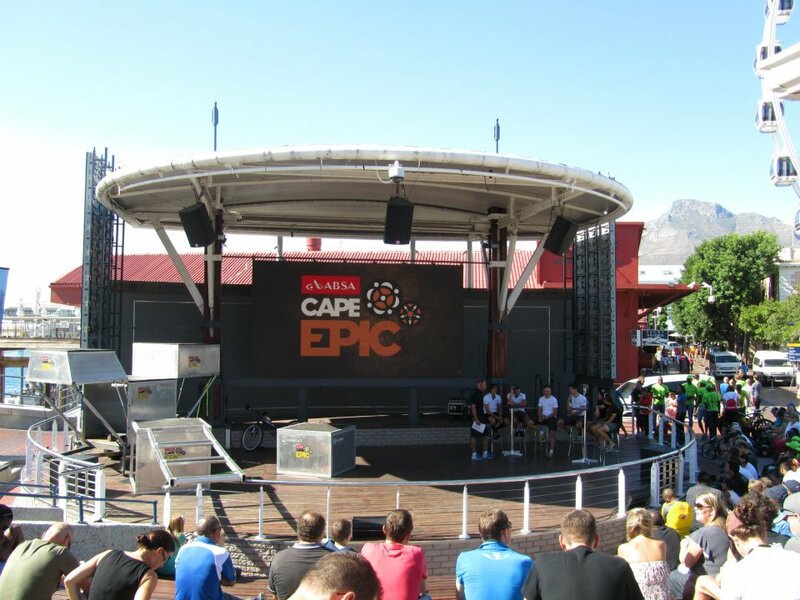 Cape Epic had taken over the space, complete with bicycles in the ferris wheel. “This will be the hardest thing you have ever done.” These are the first words we hear from the race announcers as they describe what the expect while participating in the Absa Cape Epic. I have butterflies in MY stomach. I can’t imagine how Josh and Jackie must be feeling. Experienced racers describe the Cape Epic to the audience. 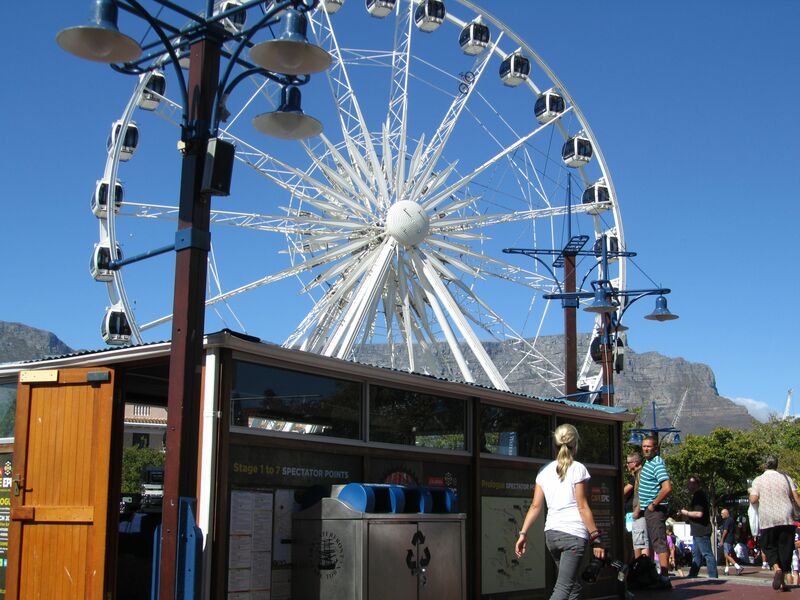 The V&A Waterfront is full of shops, sunshine, and great restaurants. We found a perfect Scottish pub, Mitchell’s, and proceeded to drink away the sunny afternoon. Leaving Cape Town, I was torn between being grateful to experience such a beautiful city and feeling like I hadn’t really gotten to see it. 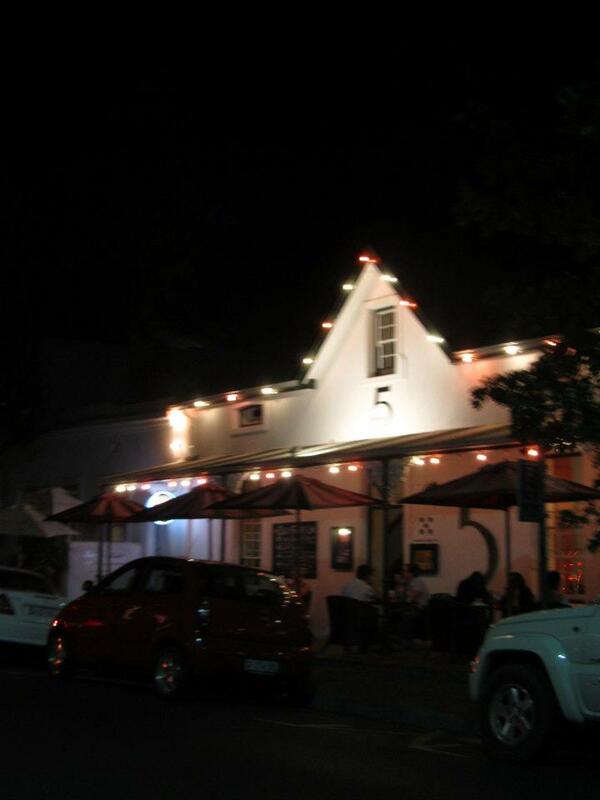 We end the evening back in Stellenbosch with a dinner at 5 Ryneveld. What used to be an old private family home was turned into a restaurant with fantastic burgers and shakes. Josh and Jackie reflect on what they expect to experience at the Prologue. Is that fear? Irony? Jitters? These two can always turn anything into a good laugh. The true adventure begins tomorrow…when we move on to the Absa Cape Epic Prologue event at Meerendel Wine Estate.